Allergan approved a new dermal filler and added another family member to their line of dermal fillers made with VYCROSS® technology. The new filler is called JUVÉDERM VOLLURE™ XC and is FDA approved for correction of moderate to severe facial wrinkles and folds, such as nasolabial folds (known as smile lines), in adults over the age of 21. JUVÉDERM VOLLURE™ XC has been used in Europe since 2013 under the name JUVÉDERM VOLIFT™ XC. JUVÉDERM VOLLURE™ XC is an injectable Hyaluronic acid gel for the correction of moderate to severe facial wrinkles and folds, such as nasolabial folds in adults over the age of 21. In other words, this is a long term solution to address stubborn facial lines around the mouth. What is JUVÉDERM VOLIFT™ XC? It’s another name which was chosen for JUVÉDERM VOLLURE™ XC in Europe. In USA, we don’t have VOLIFT as FDA approved the name of VOLLURE. Does JUVÉDERM VOLLURE™ XC contain numbing medication? Yes, just like the rest of the JUVÉDERM family line of dermal filers, it contains lidocaine, which increases patient comfort during the injection technique. What is unique about JUVÉDERM VOLLURE™ XC? How long does JUVÉDERM VOLLURE™ XC? Last? Why does one have nasolabial folds? What are the most common side effects from JUVÉDERM VOLLURE™ XC? As with any dermal fillers, injection discomfort, swelling, bruising and bumps are the most commonly reported side effects and are all temporary. How is JUVÉDERM VOLLURE™ XC? Different from regular JUVÉDERM ULTRA™ XC? They are both save, natural and reversible Hyaluronic acid fillers. The differ in the technology they are made with and as such, their viscocity and longetivity will differ as well. Hyacross technology of Juvederm Ultra allows it to be injected in lips and will last up to 6 months. Vyacross technology of Juvederm Vollure makes the product more stable, causes less swelling and prolongs it’s duration or half life. How do I know which JUVÉDERM product I need to use? It can be very overwhelming to decide which filler is the best to correct your concern. 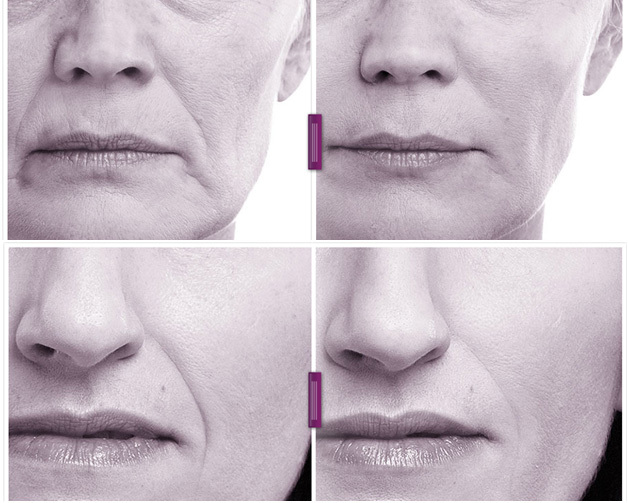 There are 5 Juvederm Family and 5 Restylane family of dermal fillers and Dr. Avaliani provides them all. How do I know if JUVÉDERM VOLLURE™ XC is right for me? Every patient requires a personalized consultation for a proper evaluation of the concern.